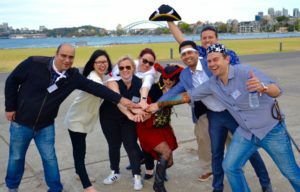 Hunting for the next best unique fun team building, team bonding, Sydney to Gold Coast activities and experiences that will keep you guessing to the end? Treasure Hunts have the solution to motivating and engaging your team of employees to succeed. Treading the path where secret mysteries are uncovered and discovered.